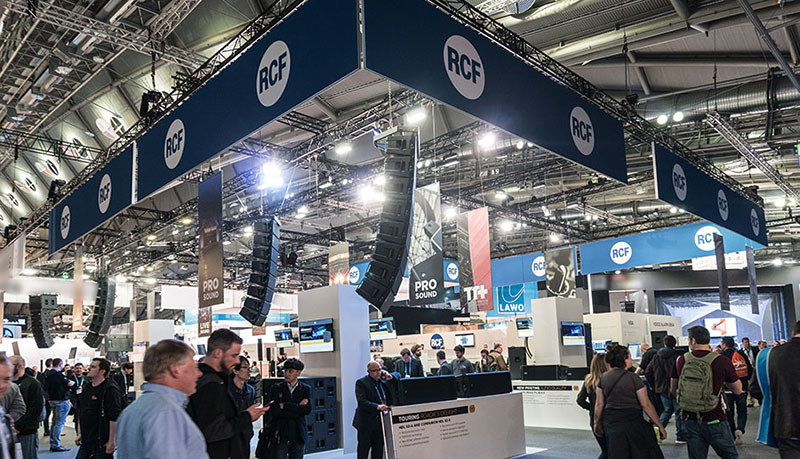 FRANKFURT, Germany – RCF noted that the Italy-based company introduced more than 30 new products at Prolight+Sound 2018, which took place in Frankfurt, Germany from April 10-13. With more than 30 products launched at the RCF booth, Prolight + Sound 2018 has been a significant milestone for the company. Our clients had the chance to discover the best-selling HDL System expanded with two new line arrays, HDL 26-A and HDL 28-A and three flyable subs HDL 38-AS, HDL 36-AS and HDL 35-AS, the rugged point source 15” high-powered HDP 45-A. The amazing EVOX J8 and EVOX JMIX8, which took a lot of the interests, were highlighted not far from the latest additions to the touring-ready D-Line speakers HD 15-A, HD 35-A, the reliable NX 32-A and NX 45-A, the F Series Analog Mixer and the legendary ART in the passive cabinet. The TT+ professional touring series gained a lot of interests featuring the innovative and ultra-flexible TTP/TTL 4-A, the TT 10-A, TT 08-A II and the double 8” TT 20-CXA low-profile wedge monitor. The MR 50 / MR 40 bass-reflex speakers for the A/V install applications and the short-throw high-power E-MAX 3112 and 3110.